Ron Johnstone, ornithologist from Museum of WA will give a presentation on Black cockatoos following the AGM of the Peel Preservation Group on Friday 11th November 2011 at the TUCKEY ROOM (City of Mandurah Offices – Mandurah Tce). This is very timely as you have undoubtedly noticed the recent increase in the number of these beautiful birds around Lake Clifton. The AGM will commence at 1:30pm and last less than 30 minutes so it won’t be painful and you don’t need to be a member to attend. It is also a good opportunity to hear what the major environmental group in the Peel region is doing to help preserve our life style. The meeting was attending by a group of community members last night at the hall. It was also attended by members of FESA, Waroona Council and the Police. The community response to the January 2011 Lake Clifton Bushfire report was presented by Patrick Dunlop. Also some interesting information was presented on Bush Fire Ember Protection Screens for Evaporative Air Conditioning Units. There was also a talk about setting up a Bushfire Ready group. Fesa will get back to me about this. Do you want to learn more about state and federal government, corporate and philanthropic funding available to your organisation? We then come along and meet the grant providers, network with other local community groups and discover how to maximize your chances of a successful submission. Presenters include: Department of Sport and Recreation – Lotterywest – Peel Development Commission – Department for Communities – Healthway – Philanthropy Australia – Bendigo Bank – Department of Families, Housing, Community Services and Indigenous Affairs. This FREE workshop is brought to you by Austin Cove in partnership with the Water Corporation.
. Places are limited and filling fast so register now! Aboriginal “Culturally Speaking” Workshop – CSD Network/Kim Bridge & Assoc. At this two day workshop you will gain a broader and deeper understanding of the key issues involved in collaboration with Aboriginal people and communities, and identify some of the keys to effective communication and partnership. This course promotes effective communication across cultures, breaks downs perceived barriers, builds trust between individuals and organisations, and strengthens relationships. 2011 Peel Volunteer of the Year Award – PVRC/City of Mandurah/Alcoa Nominations are invited from communities in the Shires of Serpentine-Jarrahdale, Boddington, Waroona, Murray and the City of Mandurah for the 2011 Peel Volunteer of the Year Award. Self nominations are not accepted and nominees must not have been nominated in the 2010 Peel Volunteer of the Year Awards. All nominees will be invited to the Awards Breakfast to be held on Monday, 5 December 2011. Please note the decision of the judges will be final and no correspondence will be entered into by the PVRC. Nominees must have been involved in volunteering for the equivalent of at least 100 hours over the past 12 months for a not-for-profit organisation, be over the age of 15 years and no more than 3 nominees per organisation can be submitted. Ø Tools4good – Project Australia This is a great community development internet resource produced by Project Australia . Ø Peel Youth Services – Open Day Head along to Peel Youth Services “Open Day” to see what they offer the Community! See attached flyer for details and RSVP information. On the Wednesday 19th October, day after AGM there will be a talk of a group of researchers who interviewed people after the fires. The Dwellingup Hotel is one of the few remaining hotels owned by the community within Australia. It was originally built in 1911 specifically for use as a commercial hotel. In 1960 the State Government sold the hotel to the Dwellingup Community who formed a company called the Dwellingup Community Hotel (Ltd). The community has now managed the hotel for 50 years this year and over that time has added motel units to the property. The hotel has just recently completed a major refurbishment of the toilet block and this has enabled a new large alfresco area to be incorporated at the rear of the hotel. This has added a significant new social area to the existing inside bar and outside grassed beer garden. The Directors are now working diligently to achieve further improvements to the hotel and are planning a major restoration of the hotel’s outside facade. However, being a community owned asset, the final outcome is yet to be determined by the shareholders at the 50th Annual General Meeting planned for October this year. 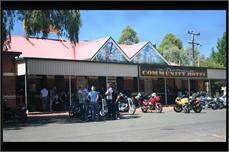 The Community Hotel membership base is drawn from people who live within the locality of Dwellingup who buy a $2 share. This enables them to be involved with the future planning for the hotel and more importantly, allows them to be appointed onto the committee and become involved in the allocation of the grants and donations throughout the Dwellingup Community earned from the annual lease the publican pays. The hotel was listed on the Shire of Murray’s municipal register in 1989. It is the intent of the current Directors for the hotel to remain in the community’s control for a number of future years. Dwellingup is fast becoming a destination of choice for weekend day trips from Perth and the Peel region. Hundreds of mature motorbike groups, veteran and vintage cars and day trippers make the most of the easy proximity to travel up the forested roads to enjoy a lovely day exploring Dwellingup and the Lane Poole Reserve. The hotel provides cold drinks, lunch and dinner meals every weekend. There is provision for overnight stays in the motel units or accommodation in the hotel rooms. Education and Diversionary Programs for Youth. Applications close 12 noon on Wednesday, 16 November 2011. More information and to obtain an application package go to www.crimeprevention.wa.gov.au and www.goodbyegraffiti.wa.gov.au or phone the Grants Officer on 9222 9733. Community based groups including local interest groups, environmental groups and individuals are encouraged to apply for support. 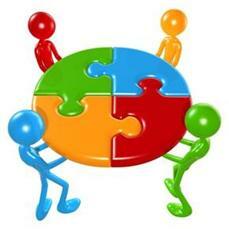 Applications should describe their ideas, issues or proposals and the extent and/or type of support required. Small projects are encouraged but larger ones may be considered up to a maximum of $20,000. Applications are currently open and close 5pm Friday, 18 November. More information, guidelines and applications forms go to Towards Zero Waste. Eventscorp and the Dept. of Regional Development and Lands have announced an extraordinary one-off round of the Regional Events Scheme, thanks to Royalties for Regions. This extraordinary one-off round of RES is available to events that are not currently receiving RES funds. 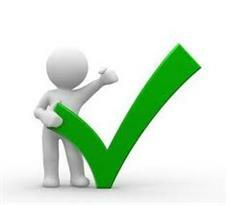 Existing RES recipients will be able to seek funding through the regular annual 2012/13 round. Total funding of $300,000 is available for events that fall between 1 January 2012 and 31 December 2012. Event holders can request between $5,000 – $50,000 in event Funding. Applications are now open and close 4pm Wednesday, 26 October. This program is designed to assist arts and cultural organisations in Mandurah and to foster participation in cultural activities and the arts. The round is currently open and closes 4.30pm Friday, 14 October. Is your Organisation a Deductible Gift Recipient? Are you aware that there are approximately 5,000 foundations giving between half a billion and one billion dollars per annum to charities and non-profit organisations within Australia? Presenter Vanessa Meachen from Philanthropy Australia will introduce you to philanthropic funds and teach you how to research potential funding sources, what to include in a submission, what to leave out, how to make your application easy to understand and what makes foundations different to other funders. Learn about state and federal government, corporate and philanthropic funding available to your organisations and meet the grant funders face to face. Network with other Peel local community groups and discover how to maximize your chances of a successful submission. Presenters include Dept. of Sport and Recreation; Lotterywest; Peel Development Commission; Dept. for Communities; Healthway; Philanthropy Australia; Bendigo Bank; Dept. of Families, Housing, Community Services and Indigenous Affairs. Nominations are invited for the inaugural WA 50-Year Volunteer Service Badge which is designed to thank volunteers who have contributed half a century or more of service to the WA Community. Volunteers who have contributed 50 years or more to a specific group, club or organisation, local government or state government, are eligible to be nominated by their organisation. Nominations can be submitted at any time but can only be made by the volunteer’s organisation and close on 31 October 2011. Presentation will be made at the Annual Thank a Volunteer Garden Party at Government House on 4 December 2011. More information and nomination forms contact the Dept. of Communities on 6551 8700 or www.communities.wa.gov.au. Pinjarra Massacre Memorial Art Exhibition – Art on the Move This exhibition shows how the arts can break boundaries and a small town’s history can reach a large audience. This project has come about as Nyungar people have no outlet to share this story. Through research over many years, extensive information has been accumulated about the massacre of the Bindjareb Nyungars in October 1834 in the small WA town of Pinjarra. This subject has been the most significant issue in the town for many years and through the research, continued observance of a memorial day and grassroots development ideas, this project concept emerged. The exhibition will be at the Western Australian Museum (Perth) and officially opened on Friday, 28 October 5.30pm and on display until 12 February 2012. In September grants totalling $12million was granted. Bridge Builders Ministries (Inc) $13,176 towards equipment for youth and children’s activities. Calvary Youth Services Mandurah Inc $1,975 towards costs of Community Leadership Program to be undertaken by a senior member of staff. City of Mandurah $10,000 towards access costs associated with the Mandurah Children’s Festival to be held on 12 October at the Mandurah Eastern Foreshore Reserve. Darling Downs Residents Assoc Inc $12,000 towards a fence and gate providing a safe environment for riders and walkers within the equestrian reserve. Lions Club of Serpentine-Jarrahdale $5,647 towards promotion and equipment hire costs associated with the Jarrahdale Log Chop and Country Fair to be held 9 October at the Jarrahdale Oval. Mandurah Performing Arts Inc $37,050 for audience development strategies to present a performance program for the Mandurah Region during 2011/12. Peel Preservation Group $5,336 towards equipment to support the work of this volunteer-based group which is involved in educational and landcare activities aimed at preserving the natural qualities of the Peel-Harvey catchment. Serpentine-Jarrahdale Youth Activity Group Inc $7,937 towards equipment to support youth development projects in the Shire of Serpentine-Jarrahdale. Shire of Murray $7,250 for property improvement to the Old School House of the Edenvale Historic Precinct to provide a more accessible community venue in extreme weather. St Vincent De Paul Society (WA) Inc – Passages Peel $245,074 towards property improvements and equipment for the Passages Resources Centre in Mandurah that provides assistance to young people who are homeless or at risk of becoming homeless. Uniting Church in Australia Property Trust (WA) – Mandurah $25,000 towards a business plan to determine how the Mandurah Uniting Church can continue to provide effective community services and support to disadvantaged people. Waratah Residents Social Club $5,832 for equipment and furniture to support the social and recreational activities of residents of the Waratah Community Village and the broader community of Wannanup, Mandurah. Waroona Agricultural Society Inc $3,630 towards equipment in relation to free entertainment provided after 6pm as part of the Waroona Show to be held at the Show Grounds on 15 October. Waroona Senior Citizens Welfare Committee $5,829 towards furniture to support the community activities at the Waroona Senior Citizens Centre Hall. Carcoola Primary School $36,954 for play equipment upgrade. Dwellingup Community Village Inc $42,145 for Senior Village and Community Centre preparation of Water Management Plan. K9 Dog Rescue Group Inc $100,000 for facilities development project. Mandurah Meals on Wheels $15,366 for purchase of new van. Mandurah Offshore Fishing & Sailing Club Inc. $30,000 for Fireball World (Sailing) Championships 2011/12. Shire of Murray $100,985 to develop the Cantwell Park Stage 2. The National Trust of Australia (WA) $362,500 to develop the Hamel Business and Community Centre (near Waroona). Waratah Christian Community Inc. Mandurah $149,050 for the Waratah Youth and Community Facility. Dawesville RSL Sub-branch $2,489 to purchase new tables to enhance the activities conducted in the clubrooms. Pinjarra RSL Sub-branch $20,790 to install new cupboards and bench tops in the kitchen of the RSL hall. Mandurah Dolphin Information Centre $7,000 towards the cost of interactive display unit to help visitors understand how they can reduced waste. Landcare Serpentine-Jarrahdale $29,965 to increase habitat quality and native vegetation connectivity in bushland areas of SJ and North Murray. Friends of Clifton Park Reserve 4041 $800 for Clifton Park Rehabilitation. Lowlands Conservation Association $1,024.60 for restoration of fringing vegetation along the Serpentine River Lowlands. Mandurah Wildlife Rescue $2,500 for food and medical supplies for rehabilitation. Shire of Serpentine-Jarrahdale $8,047.60 to protect declared rare flora and regionally significant vegetation in Mundijong Oval bushland. Bibbulmun Track Foundation $27,440 for the Bibbulmun Track multimedia and GPS interpretation project. Munda Biddi Trail Foundation $15,000 for community engagement and awareness of the Munda Biddi Trail. Lot 208 Youth Incorporated $500 to carry out ‘Cross Gen’ workshops where young people will educate older community members on the use of different mobile phone functions. Shire of Waroona $1,000 to facilitate the ‘Rhythm with Amiva’ workshop to encourage youth to express themselves through rhythm techniques. Shire of Murray $1,000 to carry out the ‘Shire of Murray Youth Day’ event involving skate demonstrations, competitions and facilitated discussions. Butterfly Project auspiced by Serpentine Jarrahdale Shire $500 to carry out the ‘Girl Power’ event where activities include a caring for animals workshop and ‘Horse Talk’ workshop. BPW Mandurah auspiced by Australian Federation of Business and Professional Women WA Inc $4,100 to conduct the ‘Secure Self Image Forum for Young Women’ covering issues of self-image, safety and resilience. Peel Community Development Group Inc $5,000 to conduct the ‘Reach Out Young Women’s Program’ to provide four individual programs targeting young women aged 12 to 18 to cover the areas of health, safety, education, employment and self-awareness and includes presentations and discussions about risk taking behaviors, road safety, accommodation and life skills. The Progress Association has recently joined Arts Culture Peel, largely because they assist us with display equipment for Art 6215 (remember that it’s on 20 November). Arts Culture Peel are holding a Quiz Evening on 8 October at the Leslie St Centre at 7:30pm. David Templeman MLA will be the quizmaster and it sounds like a fun night. They are looking for people to go along – we don’t know how many people you need for a table but if you are interested you could call Lyn Fleming on 9581 4407.